From last few years my mind is generating great ideas about new kind of packaging for products. One thought was what if hair oil comes in a spray bottle. 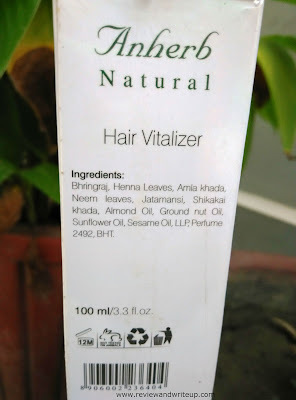 Trust me I was really excited (I literally jumped) when I got Anherb Natural Hair Vitalizer. I have reviewed their other products on my blog like facewash, Sun Gel, Sun Screen, intimate wash on R&W. 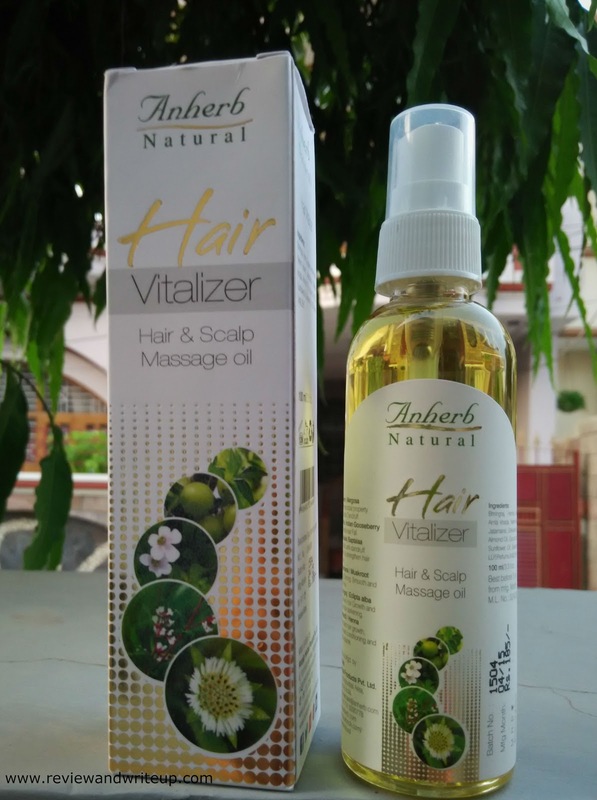 Today I am going to share my experience with Anherb Natural Hair Vitalizer. 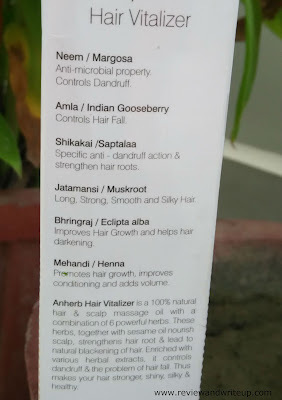 About the Product - Anherb has been very innovative when they decided to launch hair oil in spray bottle. It’s the only oil I have come across which comes in spray bottle. Isn’t that great? 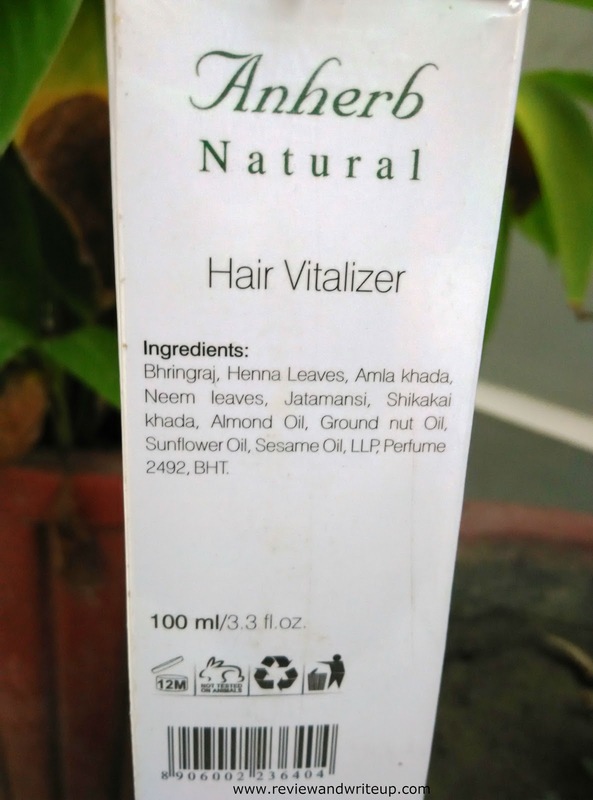 Its 100% natural hair and scalp massage oil which is made of six powerful herbs. Claims of brand - Brand claims that their oil made from the best herbs helps in controlling hair fall, dandruff, strengthens hair, helps in hair darkening, improves conditioning and adds volume. 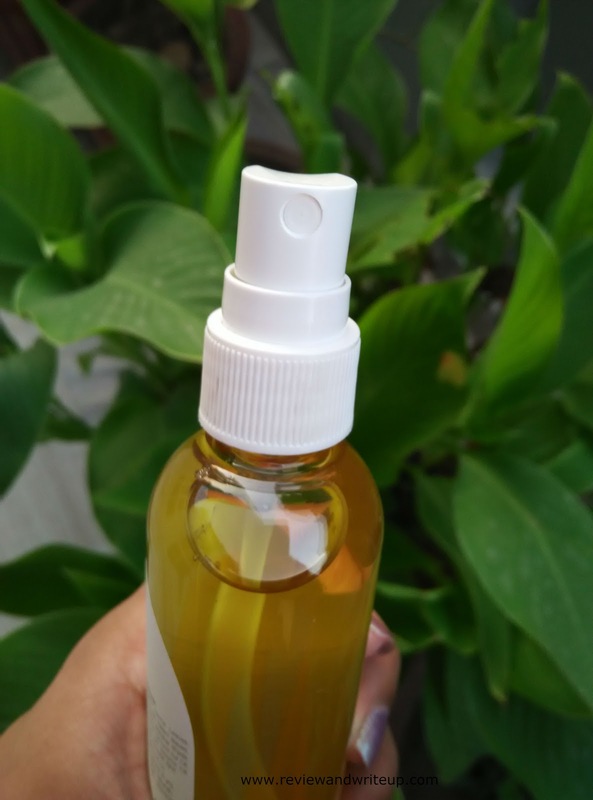 My Experience With the Product – I will tell you why I wanted hair oil in spray bottle. I always wash my hair after applying hair oil. Sometimes I don’t want more oil in my hair just a little I want. But with bottle it was difficult to apply little oil. Spray makes it very easy (you can imagine how, right). I have been using this oil from last one and half month. It smells great, like really awesome. You will fell in love with it. Oil color is of golden-yellow. Second oil is very light and provides required nourishment. After using for one and half month my hair looks shiny, smooth, and healthy. In this summer also my hair fall has reduced. My hair looks voluminous as compared to before. Regarding dandruff I don’t know as there was no dandruff in my hair. Also hair darkening I didn’t feel any difference. My hair looks really good after using Anherb Vitalizer. Infact they have grown by two inch which was never before. I am super impressed with this product. That seems a good one ...is it available on retail stores? Dear Meghan, it is available online. Free home delivery. Seems like a good hair oil..but spray botttle is drawback for me as i have waist length hair..